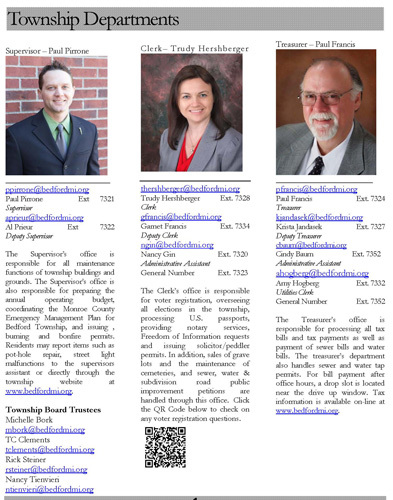 Click here to view a copy of the Township directory. (A Guide to Township Departments, Committees, County Offices, and State Agencies.) This directory includes phone numbers and e-mail addresses for all Bedford Township officials. 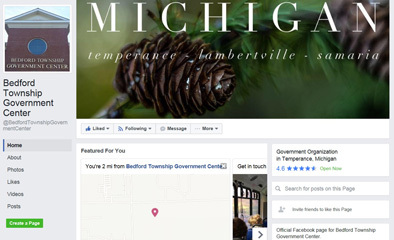 Click here to view Contact Information for Bedford Township Officials (including home addresses and home phone numbers) that are listed on the Michigan Townships Association web site. 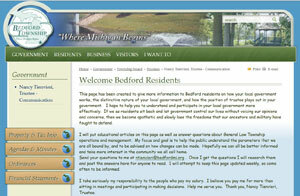 This page also includes Demographic and Population Information for Bedford Township. Click here to view additional information concerning contacting Bedford Township officials. See the answer to question #1 in the "Questions & Answers" section. Click on the graphic to the left to view and/or post to the official Bedford Township Facebook Page. AN ACT to require certain meetings of certain public bodies to be open to the public; to require notice and the keeping of minutes of meetings; to provide for enforcement; to provide for invalidation of governmental decisions under certain circumstances; to provide penalties; and to repeal certain acts and parts of acts. 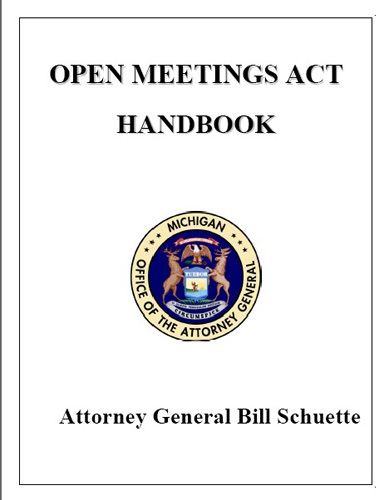 See "Open Meetings Act Handbook" listed below for complete information. Click on the graphic to the left to read the complete Michigan Open Meetings Act. The basic intent of the Michigan Open Meetings Act is to require public bodies to conduct business at open meetings. “Public body” means any local governing body (including a board, commission, committee, subcommittee, or authority) which is empowered (by state constitution, statute, charter, ordinance, resolution or rule) to exercise governmental or proprietary authority or perform a governmental or proprietary function. “Meeting” means the convening of a public body at which a quorum is present for the purpose of deliberating toward or rendering a decision on a public policy. “Closed session” means a meeting or part of a meeting of a public body which is closed to the public. “Decision” means a determination or vote of a public body to formulate public policy. Notification of meetings The public body must post a notice stating the dates, times and places of all its meetings. Closed meetings The law provides for closed meetings in a few specified circumstances. • an explanation of the purpose(s) for which a closed session is held. A public body shall make proposed minutes available for public inspection within 8 business days after the meeting to which the minutes refer. The public body shall make approved minutes available for public inspection within 5 business days after the meeting at which the minutes are approved by the public body. Separate minutes must be taken of CLOSED meetings. Click on the graphic to the left to read the most current news concerning Bedford Township. Bedford Township Trustee Nancy Tienvieri has started a new web page on the Bedford Township web site “Welcome Bedford Residents”. This page has been created to give more information to Bedford residents on how your local government works, the distinctive nature of your local government, and how the position of trustee plays out in your government. She is also encouraging residents to send her any questions they have concerning Bedford Township Government. Once she gets questions, she will research them and post the answers on her page. Click on the graphic on the left to view her page. Click on the logo to the left to view the Buckeye Cable web site. Agreements between Buckeye Cable and Bedford Township along with various regulations. 3. Michigan Legislature UNIFORM VIDEO SERVICES LOCAL FRANCHISE ACT Act 480 of 2006. This is a copy of the actual bill that was passed with a document index by section. 1. Do we still have a Bedford Township Cable Advisory Committee? A committee is not listed on the Bedford Township web site. We currently do not have an active Cablevision Advisory Committee. 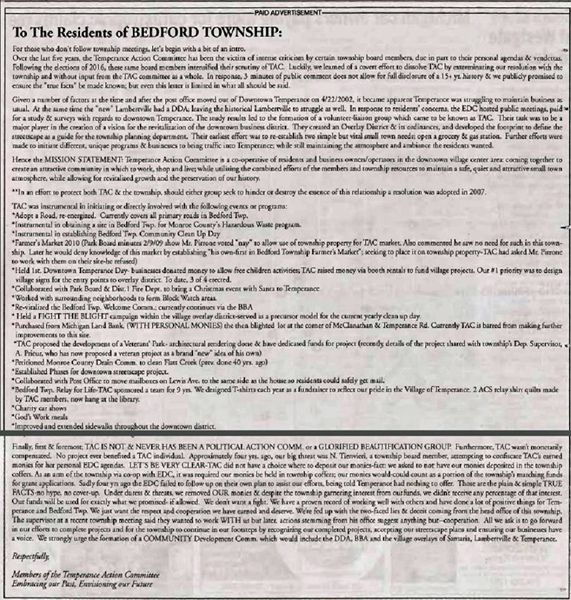 When the committee was originally set up in 1997, this was the description that was on the Bedford Township web site: Click here to view a copy of the description that was posted on the Bedford Township web site in 2006.
a. The purpose of the Cablevision Advisory Committee was created by Bedford Township to regulate and recommend franchise agreements to the Board. Bedford currently has an agreement with Buckeye Cablevision. b. The Committee also acts as an oversight committee to the franchise holder. The Committee reviews cable operation and offers suggestions on how franchises can offer better services. c. The Committee also sends one member to the local origination channel program committee. This committee approves the programming on Channel 3. The local organization committee consists of one person from the Cablevision Advisory Committee, one person selected by the Superintendent of Bedford Schools, and one person from each cable franchise. d. Membership: Non-paid five (5) member appointed committee serving two year terms. One (1) voting member of the Township Board. Two (2) voting members from Whiteford Township. e. Meetings: Meets the third Monday of each month at 7:00 p.m. at the Bedford Township Hall. 2. What is the "franchise fee" that is listed on my Buckeye Cable Statement each month? Click here for an explanation of the "Franchise Fee" which is paid by subscribers each month (currently 4% of their cable bill) to Buckeye Cable. Buckeye Cable then pays this fee to Bedford Township each quarter. Click here to view a sample Buckeye Cable Bill that will show where to locate the "Franchise Fee"
3. How much income does Bedford Township receive on an annual basis from the "Franchise Fee"? 4. What does Bedford Township use the money that it receives from the franchise fees? According to Supervisor Greg Stewart, the dollars are going to the General Fund and are not earmarked for any specific department or project. Click here to view answers to questions concerning Buckeye Cable answered by Bedford Township Supervisor Greg Stewart. See Questions 7 & 8. 5. Why don't be have a local office in Bedford Township to pay our bill. Why can't we pay it at the Bedford Township Hall? This topic was discussed at a Cable Advisory Committee Meeting in June of 2005. Tom Dawson, Director of Government and Community Affairs for Buckeye Cable told the group that the office located on the north-east corner of Lewis & Dean Roads did not have enough walk in traffic to keep it open. After closing the Lewis Avenue office, the office moved to Foodtown in Lambertville. That office was forced to close when the store was sold. Efforts were made to make new arrangements with either the new Foodtown owners or the Kroger store across the street with no success. Mr Dawson told the group that Buckeye would look into this again. At the July 2005 meeting the topic was brought up again. The Township officials and Buckeye Cable representatives said it will be investigated further. Click here to view the Cable Advisory Committee Minutes for June & July 2005. 6. Does Buckeye Cable have an exclusive contract with Bedford Township for TV, Phone and Internet Service? Can other cable companies, such as ATT Uverse, come in and compete with them in Bedford Township as they do in Toledo? This question was discussed at the Bedford Township Board Meeting on April 16, 2013. The answer is that Buckeye Cable does not have an exclusive contract with Bedford Township. Other cable companies are allowed to come in to the township. To see the discussion of this topic at the board meeting just click here to view the video (Part 2 of 2 videos) go to the 8 minute mark on the video. 7. How many channels are provided to Bedford Township by Buckeye Cable for educational and governmental origination? According to Ordinance 18A-1 Section Section 9 " SECTION 9. PUBLIC; EDUCATIONAL AND GOVERNMENTAL ACCESS PROGRAMMING .Buckeye will provide Bedford Township with two channels on the portion of its system delivered to Township residents. The channel positions for these two channels will be determined through cooperative discussion between Buckeye and the Township (Currently they are Channel 7 and 69). One of those channels will carry educational local origination programming and alpha-numeric information generated from Bedford High School; and the other channel, in the Township's sole discretion, may carry general and governmental local origination programming, alpha-numeric information generated by the Township, and public access, if the Township so determines." 8. Why doesn't Bedford Public Schools currently receive any of the "franchise fees"? The original agreement called for them to receive $20,000 per year ($10,000 from Bedford Township and $10,000 from the Buckeye Cable). The Bedford Township Board stopped making payments to Bedford Public Schools in 2002. Click here to view the payments that were made to BPS from 1998-2002. See information below for an explanation of why they do not receive payments at the current time. In 2005 The Bedford Township Cable Advisory Committee began investigating why BPS was not receiving payments from Bedford Township & Buckeye Cable. Whiteford Township Representatives: Bernice Heidelberg & Denise Hill. 1. Click here to view the minutes of the Bedford Cable Committee minutes from May to November 2005 where the topic of the non-payment to Bedford Public Schools was discussed. a. Read the newspaper articles from the August 21, 2002 Bedford Township Board Meeting which is in conflict with the above stated memo. b. Read the official minutes of the August 21, 2002 Bedford Township Board Meeting where the Supervisor Lamar Frederick "reminded the board that no matter what the board decides (concerning who should tape their meetings), they would still be liable to pay the franchise agreement to the schools. Trustee Med Barr advised the board "that there will still be financial obligations to the school whether they taped the meets or not." a. Rescind Comcast Ordinance #79.
b. The township board members review the Buckeye Franchise agreement, Ordinance #86 and the supporting documents provided by the cable committee. c. Bedford Public Schools is financially reimbursed for the local origination fees from 2002 to present in a timetable that is acceptable to the township board and Bedford Public Schools. 5. December 5, 2005 Monroe News "Bedford Schools may get cash from cablevision group"
7. December 9, 2005 : Editorial in the Monroe Evening News on December 9, 2005 asking Bedford Township to give Bedford Schools the Cable TV Funds. 8. December 9, 2005: Bedford Now: Cablevision urges township to pay $60,000 to schools. Comments by Township LaMar Frederick "that Trustee Med Barr recommended to the township broad that we stop paying them (Bedford Public Schools) if they weren't going to do anything for the community" Superintendent Jon White also commented on the situation. Five (5) Cable Committee members received a letter from Bedford Township that their terms on the Cable Committee had ended and they would not be re-appointed: Steve Lennex, Bernice Heidelberg, Denise Hill, Nick Karay and Mike Murphy. Please note that Mr. Murphy has only been a member of the cable committee for 7months. (The only members still on the committee were Sigmund Geremski and Gene Stock. 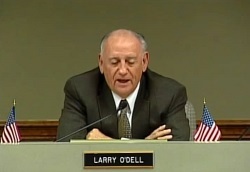 It was suggested by several committee members that due to the fact that only 2 committee members would still be on the Cable Committee after December 31,2005 that we should ask for a special meeting before the end of the year in order to finalize our presentation to the Township Board on January 17, 2006. Bernice Heidelberg contacted the Township Clerk's office on December 21, 2005 and asked if the Cable Committee could schedule a special Cable Committee meeting on Tuesday, December 27, 2005 at 5:30 p.m. in the Township Hall. She was informed that the time and space was available and that the meeting would be posted. A short time later Mrs. Heidelberg was contacted by the Clerk's office that Township officials had decided that we would not be allowed to meet on December 27, 2005. No reason was given for this decision. The decision not to allow the Cable committee to meet on December 27, 2005 upset all committee members. Cable Committee Chairman, Steve Lennex volunteered to put a packet together to present to the board on January 17, 2005. Committee members signed the memo indicating that they agreed with the memo and content of the packets. On December 29 th Steve Lennex delivered the packets to the Township Clerk's office and requested that a copy be given to each Township Board Trustee. Mr. Lennex requested that this information be placed on the agenda for the Township board meeting for January 17, 2006. His request was denied. It was the consensus of the Cable Committee members that press packets be prepared for the media. Packets were delivered to The Monroe News, Bedford Now and The Toledo Blade. 12. January 17, 2006: Bedford Township Board Meeting Public Commentary by Gene Stock concerning restoring funding to Bedford Public Schools from the Bedford Township franchise fees. Bedford Township Board Meeting Public Commentary by Steve Lennex concerning disbanding the Cablevision Advisory Committee. Please note that this is not a complete copy of the meeting. This video contains the comments by residents (Mike Murphy, Gene Stock, & Steve Lennex) and a representative of Bedford Public Schools (Denzil Bell) during "Public Commentary" time and the remarks from the Township Board members turning their "Comment Time". These comments concern the issue of the non payment of the franchise fees to Bedford Public Schools by Bedford Township from the years 2002 to 2006). Please also note that the topic of the non payment was brought to the attention of the Township Board by the Cablevision Advisory Committee beginning in May of 2005. (see minutes of the cable committee from May to November 2005) on the following web page). Complete details concerning the issue of non payment is located on this page. 13. January 18, 2006: Monroe News Article: "Several Bedford Township Board members chastised the members of the Bedford Township Cable Committee for "airing dirty laundry in public" and "going to the press." 14. January 19, 2006: Notice of Bedford Township Board Committee of the Whole Meeting. 15. January 31, 2006: Information read at the Bedford Township COW Meeting by the Bedford Cable Committee during public commentary regarding the agreement between Bedford Township & Bedford Public Schools concerning the franchise fees. 16. January 31, 2006: Mr. Tom Dawson, Director of Government & Community Affairs for Buckeye Cable read a letter at the Bedford Township COW Meeting that was written by him on January 27, 2004 to Walt Wilburn, Supervisor of Bedford Township. This letter was in response to Mr. Wilburn's letter written to him on January 19, 2004. In Mr .Wilburn's letter he was seeking the reaction of Buckeye Cable officials to the request by the Bedford Township Board to alter the Permit to Operate (by removing the schools as a beneficiary of part of the franchise fee paid to the Township). Mr. Dawson stated in his letter "Even if the School District does not have a legal right to hold the Township and us to the contract, we (Buckeye Cable) believe it has a strong moral claim to expect us to honor promises." 17. February 1, 2006 Toledo Blade "Cable deal spits advisory panel in Bedford Township" Discussion of COW meeting or January 31, 2006 concerning the Buckeye Cable Agreement. No action was taken at the COW meeting, and several township board members expressed afterward that they had little interest in making any more payments to Bedford Public Schools. 19. February 22, 2006: Toledo Blade "Bedford Township Board takes control of cable access" The Bedford Township Board stripped control of the local studio for public access cable away from the Bedford Public Schools and "officially" moved it a quarter mile south to the township hall." 20. February 22, 2006 Monroe News "Bedford board votes to move cable studio" Main topics: Cable Committee Member resigns. Bedford Township Supervisor said "Our attorney explained the contract that we have. There's is really no agreement or anything like that. Basically there were a lot of verbal agreements made. There was a lot of "You do this for us, and we'll do this for you" type stuff. Nobody ever wrote anything down. They were flying by the seat of their pants. And then one day somebody discover a mistake and they want to make a big deal about it"
22. March 15, 2006 Monroe News "Bedford makes cablevision offer" Results of the discussion of a special Bedford Township Board Meeting of March 14, 2006 where the board decided to offer $80,000 to BPS to end the dispute. 23. March 19 2006 Editorial by Monroe News "Cable TV Fees: Put Dispute To Rest"
24. March 23, 2006 Toledo Blade "Schools, Bedford may settle dispute" Bedford Township has agreed to offer BPS $80,000 to settle dispute. 25. March 31, 2006 Bedford Now: Guest Editorial by Lew Horn, Bedford High School Journalism teacher "Schools offered diverse programming for franchise fee portion". In the article he lists all of the events that were covered by the broadcasting class at BHS. 26. March 31, 2006 Bedford Now Letter to Editor William Dukeshire "Schools shouldn't settle for less than they're owed"
27. April 28, 2006 Bedford Now "Words get in way of cable settlement" Bedford Public Schools was not satisfied with the wording of the agreement. 28. April 28, 2006 Bedford Now "Rules governing public comment frustrate residents" Several residents tried to speak during public commentary time on the issue of the payment terms of the agreement between BPS and Bedford Township. 29. May 10, 2006 Monroe News "Bedford board votes to bond more for new township hall" Was money from the cable franchise fee stashed away for years to create a pool of about $1 million for construction of a new hall? 30. June 2, 2006 Bedford Now "Schools mull township's cable offer"
32. August 16, 2006 Toledo Blade "Cash infusion to target broadcasting program" This article explains how Bedford Public Schools spent the $80,000 it received from Bedford Township in the settlement of the cable payment dispute. Click here to view the video of the Bedford Township Board Meeting of March 5, 2013 where Nancy Tienvieri made a presentation to the Bedford Township Board concerning broadcasting more events and information on the Buckeye Cable Station. Her presentation is right at the beginning of the meeting at about the 1 minute 45 second mark on the video. Click here to view answers to questions concerning Buckeye Cable answered by Bedford Township Supervisor Greg Stewart. See Questions 7 & 8. Click here to view the video of the Bedford Township Board Meeting on February 4, 2014 where there was a discussion of Buckeye Cable, Franchise Fees, Township Cable Channel and Establishing a Cable Committee. (1minute mark on video #1) Click here to read the request from Nancy Tienvieri to have these items added to the agenda for this meeting. 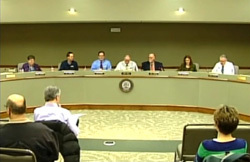 Click here to watch the video of the November 17, 2015 Bedford Township Board meeting. Of special note is a discussion under “Old Business”-Discussion Regarding the Cable Committee”. Public commentary begins at the 11 minute mark on the video and the discussion of the Cable Committee begins at the 28 minute mark. Prior to the discussion, 3 residents spoke during public commentary in support of re-establishing a Cable Committee. 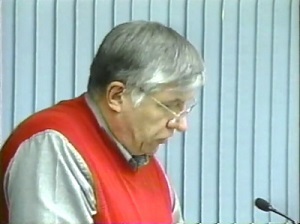 During the discussion of the topic, one Bedford Township Board member made some very misleading and inaccurate statements concerning the chain of events that occurred in 2005-2006 regarding the “franchise fees” that were not being paid to Bedford Public Schools from 2002 to 2006, as called for in the agreement with Buckeye Cable. This person also made some very wild accusations directed toward individuals in the Bedford Community as stating that ”The same persons who have caused problems in the past are bringing it up again” in regards to the topic of Buckeye Cable. The Township Board agreed to add the topic of the "Cable Committee" to the agenda for their December 1, 2015 meeting. West Bloomfield Charter Township, Michigan: Click on "Government" tab then "Directory of Government"
Click on the graphic to the left to view all legal notices that are published in the Monroe News for Bedford Township. When you get to page on the Monroe News web site, just scroll down for the meeting that you would like information. July 5, 2013 Monroe Evening News: Public Hearing on July 24, 2013 for a request to rezone from PBO (Professional Business Office) to R-2B (Single Family Residential) on a vacant parcel located on Sterns Road, west of Quail Hallow Drive (Lambertville). May 24, 2013 Monroe Evening News: Public Hearing on June 12, 2013 for a request for special approval for a restoration/paint repair use located in a C-3 general business district (7640 Lewis Avenue - former Northtowne Chevrolet). May 3, 2013 Monroe Evening News: Public Hearing on May 22, 2013 for Rezoning property on Lewis & Smith (Askins) and on Secor near Consear (Louie's Sheet Metal). April 5, 2011 Monroe Evening News: Legal Notice: Notice of Public Hearing for re-zoning request by Whitman Ford. Public Notices published in Monroe Evening News: February 18, 21, 25 and March 5, 2011: Click here to view all notices. February 18, 2011: BZA Notice (Re-zoning request 6946 Pheasant View Drive, Temperance) March 7, 2011. February 21, 2011: Ordinance re-zoning change for BBA property on corner of Dean & Secor from R-2B to C-1. Wednesday February 15, 2011, 7:00 p.m. @ Bedford Township Hall (Published in MEN February 5, 2011): Public Hearing to consider the request from Fisher Tool & Die. Wednesday February 23, 2011, 7:00 p.m. @ Bedford Township Hall (Published in MEN February 4, 2011): Public Hearing for Ordinance enactment concerning medical marihuana in Bedford Township. 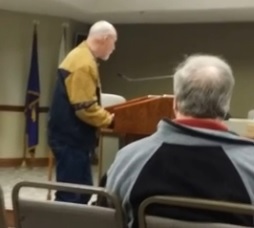 Monroe News March 19, 2014: Dog supporters spark uproar at Bedford Township Board meeting. Bedford Now February 15, 2014: "Firefighters speak before township board; For the first time township firefighters share their opinions regarding recent accusations." Toledo Blade February 10, 2014: "6 individuals appointed to Bedford Twp. master-plan panel"
Toledo Blade January 13, 2014: Bedford Fire Probe finds no corruption; Panel does cite command, compensation problems. Toledo Blade September 9, 2013: Bedford Township community garden idea gets initial support; Board backs plan to let residents grow produce. Toledo Blade July 22, 2013: Bedford turns to vet to fill tax post. Township to train Smith for assessing. Bedford Now June 27, 2013: "Township Trustees Asked To Update Fire Ordinance"
Toledo Blade June 24, 2013: "Bedford Twp. trustees change zoning to commercial at 3 sites"
Toledo Blade May 20, 2013: "Interim chief fills fire post 2 months after vacancy. Acting chief promoted; vote had been delayed"
Bedford Now May 18, 2013: "After weeks of discussion, board names interim chief"
Toledo Blade May 13, 2013: "State agency denies Bedford Township bid for firearms regulations"
Monroe Evening News May 9, 2013 Editorial: "Don't Rush Bedford Market"
Toledo Blade April 22, 2013: " Bedford to get farmers’ market legal concerns addressed"
Toledo Blade April 22, 2013: "Bedford Twp. board OKs hiring Meyer as supervising officer"
Monroe Evening News April 16, 2013: Letter to Editor by Gene Stock "Scheduled Road Work in Bedford Township Appreciated"
Toledo Blade April 8, 2013: "Bedford board gives go-ahead for work on Smith Rd. stretch;Douglas-to-Lewis segment to be improved"
Bedford Now April 6, 2013: Letter to editor by Frank Knoll "Cemetery issue still rankles"
Bedford Now April 6, 2013: "Township Treasurer Clears Up Misconceptions On Cemetery"
Bedford Now April 3, 2013: "Board Approves Contracts To Fund Road Projects"
Bedford Press March 27, 2013: Letter to the editor by Paul Francis "To set the record straight about the Bedford Memorial Garden Project and Cemetery Fund Deficit"
Toledo Blade March 25, 2013: "Bedford Township holds off on replacing fire chief; Trustee wants job posting first; tree removal an issue"
Bedford Now March 20, 2013: "Township Trustees Reject Paying For Tree, Root Removal "
Toledo Blade March 11, 2013: "Bedford accepts the resignation of longtime fire chief"
Toledo Blade February 25, 2013: "Bedford Twp. addresses cemetery fund deficit; Board approves merger with general fund until revenue picks up"
Toledo Blade February 11, 2013: "Moment of silence to open Bedford board meetings "
Toledo Blade February 4, 2013: " Bedford board is urged to be nicer to one another"
Toledo Blade January 14, 2013: "Bedford Township Board pondered whether to sell bonds;Subdivision road work reason for discussion"
Bedford Now November 24, 2012: "New Bedford Board Convenes, Pitches Changes"
Toledo Blade June 4, 2012: "Board to mull OK of Rauch repaving"
Toledo Blade February 28, 2012: "Fishing pond, sledding hill slated for Ansted Park in '12. Bedford board OKs Park Commission's 5-year plan"
Toledo Blade April 13, 2011: "Bedford OKs regulations on medical marijuana use"
Bedford Now March 12, 2011: Letter to editor by Bill Kudzia "Township doesn't need another parts store"
Toledo Blade March 1, 2011: Bedford Twp. planning panel OKs medical marijuana rules .Ordinance must be approved by county, township board. Bedford Now February 26, 2011: Water rates to rise with new contract. Monroe Evening News February 23 & 24 2011: "Auto Zone wants zoning change" "Panel okays zoning for auto parts store"
Toledo Blade February 23, 2011: Kroger plans to redo store on Sterns. Monroe Evening News February 5, 2011: Township considers appealing Whitman ruling. Please note that residents can view video of all Bedford Township Board, Planning and Zoning meetings for 2007, 2008, 2009, 2010, and 2011 in the Reference Room at the Bedford Branch of the Monroe County Library. Agenda and Minutes of all Bedford Township meetings are also posted on the Bedford Township web site. Click here for current agendas and minutes. To view video of meetings on this page, just go to the meetings listed below and click on the words that say "Watch Video of Meeting". Starting with the Bedford Township Board meeting on December 4 th residents will now be able to view all documents that the board members will be discussing that their meetings. To view the documents for the Bedford Township Board meeting on December 4 th, just click on the word “agenda” and you will be able to view all 26 pages. "Every citizen is entitled not only to know what the local government body decides, but to observe how and why every decision is reached" stated Robin Luce Hermann who was a guest speaker in Monroe on the topic of the state's "Open Meetings Act and the "Freedom of Information Act (FOIA) requests. 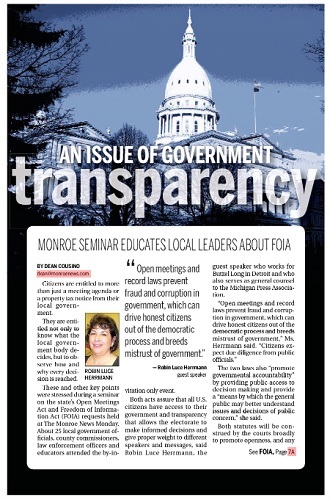 Click here to read the newspaper article that appeared in the Monroe News on June 9, 2015 "An Issue Of Government Transparency". This is a great primer for every citizen to read so they understand their rights and the responsibilities of local government, including Bedford Township, concerning the "Open Meetings Act" and the "Freedom of Information Act"
2017 Bedford Township Meetings that will be televised live on Buckeye Cable. Please check the calendar posted on the Bedford Township web site for additional meetings that are scheduled. Please note since the Township will be archiving all meetings on their Facebook page, I will no longer need to record and post them here. Click here to view a calendar of the current schedule of Bedford Township meetings. Click here to watch the video of the Township Board Meeting. 01:53:35-01:54:04--VOTE-2 -4 motion failed.Yeas: Pirrone, Tienvieri. Nays:Clements,Steiner,Francis and Hershberger. Click on the graphic to the left to read a copy of the letter written by the Temperance Action Committee Members that was published in the July 9, 2017 edition of the Bedford Now. Click here to read the agenda and the minutes for the April 10, 2017 meeting. Agenda: (Please note that the agenda includes all supporting documents that are on the agenda. On May 2, 2017 Paul Pirrone hosted a Town Hall meeting on Medical Marijuana. Hopefully this meeting will give you some insight on the issue before the Bedford Township Board adopts an ordnance concerning Medical Marijuana in Bedford Township. Click here to watch the video of the Town Hall Meeting concerning Medical Marijuana. Click here to read the agenda and the minutes for the January 9, 2017 meeting. 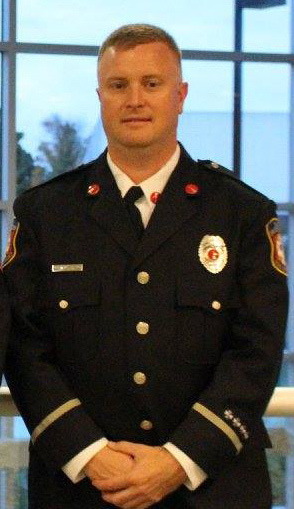 Adam Massingill was selected by the Bedford Township Board as Bedford Township's new Fire Chief by a 7-0 vote. Agenda: (Please note that the agenda includes all supporting documents that are on the agenda. All board meetings are broadcast live on Buckeye Cable (Channel 7 or 11 depending on your cable contract.) Please note that there will be a "Town Hall Meeting" starting at 6:00 pm concerning questions about the water and sewer rates. Toledo Blade February 8, 2017: "Bedford Township talks employee reviews"
Monroe News February 9, 2017: "Bedford changes public comment rules to cut meeting time"
Monroe News February 9, 2017: Water the town hall topic for Bedford residents. Agenda: (Please note that the agenda includes all supporting documents that are on the agenda. Click here to read the minutes for the November meeting. Attention Bedford Township Residents! At the January 3, 2017 Bedford Township Board Meeting Nancy Tienvieri spoke on the issue that Bedford Township does not currently have an Administrative Policies Manual in place for Township officials and employees. She presented to the Board a suggested template from the Michigan Townships Association and stated that it has been worked on in the past but never adopted by the Board. Bedford Township residents should take a close look at this document and make suggestions to the Township Board concerning a uniform application of policies and procedures for our officials and employees. A good example is that the Township officials do not currently have a documented “Code of Ethics” (see page 7 of the suggested template). A good example is 3.13 of this section “Gifts and Special Benefits”. Currently Bedford Township officials can accept “personal gifts” of any value from vendors and any other persons or companies who wish to do business with the Township. Residents should ask themselves “Why are our officials or employees receiving any personal gifts from current vendors or others”? 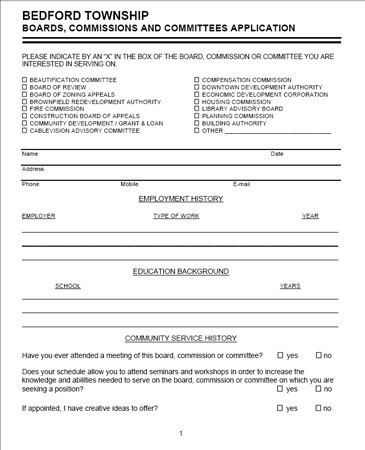 Click on the graphic to the left to view the suggested template that was presented at the meeting. This document covers all policies and procedures. To view the discussion that took place concerning implementing an Administrative Policies Manual click on the video link above. The discussion begins on Disk # 2 at the 54 minute mark. Monroe News December 21, 2016 Bedford, road crews to work together on snow removal. Agenda: (This meeting will not be broadcast, but is open to the public). I believe having a plan for our next four years is essential to be successful in moving Bedford forward. I have put together my ideas, and I invite your input and ideas. The Agenda – I want to make our meetings more public friendly by eliminating the paragraph at the bottom regarding Public Comment. Ultimately, it is the Chair’s responsibility to manage the conduct of a meeting. Seating – I am changing the arrangement of the Board table to be more conducive to discussion by looking at each other when speaking. Any item on the agenda may result in a motion so there will be no “Board Action” stated on the agenda. I will be having monthly Town Hall meetings – any/all are welcome to come. Appointing a Chaplain to open each meeting with prayer. The County Commission, the US Senate, the US Congress and other governmental agencies have prayer before their meetings and I believe Bedford should as well. Since we have all stated Bedford First, I believe the pictures on the walls should be of what makes Bedford great – our Schools, our businesses, our industry, our parks, our residents, etc. instead of elected officials. Laptops/computers purchased for the Board table to be used by each Board that meets in the Boardroom. This would allow us to go paperless, and eliminate the need for packets to be printed up and delivered to each Board Member prior to any meeting. If the Board member wants a printed packet he/she can print it. Eliminate pensions, life insurance, and extra pay for additional meetings for the Trustee position. Trustees statutorily are not full time, but serve part-time, and the Board does not provide any benefits for other part-time employees. We should not require taxpayers to pay for benefits for part-time employees just because we can vote it for ourselves. Move forward quickly with communication with public by encourage the Communication Committee to bring recommendations for updating website, social media, and further communication with public. Investigate streaming all public meetings. Adopt Parliamentary Procedure Rules that allows everyone to be heard and to make decisions without confusion. Consideration of lifetime healthcare for retirees of Bedford Township. Consideration of the State’s requirement of 20% contribution to healthcare. Consideration of a Bedford Township Police Department in lieu of the Monroe County Sheriff Contract for policing. Click on the graphic to the left to view a printable copy of the legal notice concerning the 61 unit development on Sterns Road . 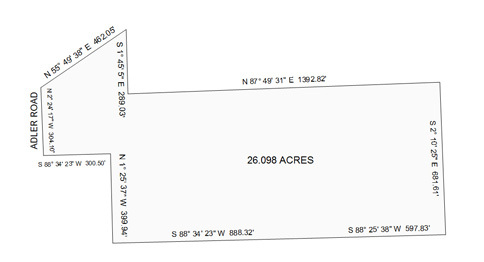 Two parcels, one 19 acres and one 6 acres for a total of 25 acres. Proposed 97 unit Planned Unit Development (Condominiums) located on Adler Road between Sterns and Consear. 2 parcels 26 acres and 4.54 acres. 2. Approval of SEMCOG membership dues. 3. Approval of Township Financial Report for year ending June 30, 2016. 4. Approval of resolution exempting Bedford Township Government from the requirements of Public Act 152 of 2011 for the calendar year of 2017. A portion of the Whitman Property at the corner of Lewis and Sterns was rezoned for multi-family housing. Monroe News November 2, 2016: "Chunk of Whitman property rezoned"
Major Discussion Item: Approval of Zoning request by Forest View Lanes. 1. Discussion/Report from the Communications Sub-Committee (Rick Steiner) 3 minute mark on the video. 2. Request from Monroe Conservation District (Connie Velliquette) 43 minute mark on the video. 4. Comments from Bedford Township Board Members. 1 hour 6 minute mark on the video. No it will not be (broadcast). It is an open meeting that has been posted, but with both the Planning and Board, plus employees from Ordinance, Building and Planning I felt that we needed to all be on the same level. You know how poorly our attempt at the budget meeting went when we tried to get sound down to the lower level. I am using room c instead to give us an atmosphere that is conducive to conversation. Bedford Township Board Meeting concerning the new Communications/Cable Committee. Just a reminder that this meetings will be broadcast live on Buckeye Cable (Channel 7 or 11 depending on your cable contract). All meetings are open to the public. They are held in the board room on the second floor of the Bedford Township Government Center. Please note: Due to technical difficulties, the workshop was not broadcast but was recorded by Bedford Township. They have not released the video as of this date. Agenda: (Please note that the agenda includes all supporting documents that are on the agenda. The supporting documents include the story board that went along with the power point presentation. Click here to view the power point presentation at the May 5th Special Meeting. Click here to download a copy of an application to serve on the newly established "Communications/Cable Advisory Committee. Please note: Due to technical difficulties, the workshop was not broadcast but was recorded by Bedford Township. They have not released the video as of this date. They are consulting with the Bedford Township Attorney to see if they should release the audio of the meeting. Public comment: Begins at the 46 minute mark of video #1. Summary of the Bedford Township Budget Meeting held on April 14, 2016. Officials in attendance: Nancy Tienvieri, David Manning, Paul Francis, Greg Stewart, Trudy Hershberger, Larry O’Dell and Rick Steiner. 1. The Bedford Township Finance Committee brought a recommended Budget for FY 2017 to the full Board. 2. Finance Director David Manning and Township Treasurer Paul Francis presented the revenue stream for the General Fund Budget. 3. Discussion of the “Other Funds Budgets”. “Other Funds” are all funds besides the General Fund that have or have had in the past as sources of revenue in addition to the General Fund. These funds include: Fire Millage, Police Millage, and Library Millage and Lake Erie Transit Millage. 4. During discussion of the Other Funds Paul Francis passed out info on the limited funds left in those accounts and when the millages associated with those funds will expire. 5. Paul Francis noted the need for new millages and in some cases additional millages to cover future costs in those areas. Millages discussed were Fire, Police, Library and Lake Erie Transit. Please note: The next Budget Workshop - Committee of the Whole meeting will take place on Tuesday April 26 7:00 at the Bedford Township Government Center in the Board Room. All meetings are broadcast live on Buckeye Cable channel 7 or 11. Click here to view the complete schedule of future meetings. which stated why he feels a Cable Advisory Committee needs to be re-established. 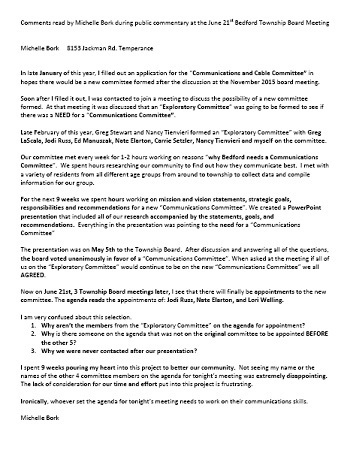 Click here to view packet given to Board Members by Paul Pirrone which states why he feels that a cable committee should be re-established. Please note: There has been an important change in PA 480 effective December 31, 2015. On December 17, 2015 the MPSC announced that the Michigan Legislature did not appropriate funding to the MPSC to administer PA 480 in 2016. As a result of this the MPSC will not be handling cable franchise complaints or dispute resolutions going forward. Click here to read the announcement on the MPSC web site. Main topic of discussion: Final interviews with the candidates for Fire Chief position. Please Note: Click here to view the 2 cost saving proposals for employee health for 2016 that Bedford Township resident Dale Track handed out to Board members and spoke about during public commentary. The Bedford Township Library is a new .25 mills. It would cost a homeowner of a $100,000 home $25 per year. The levy, if approved, would bring in an estimated $250,000 per year. The Lake Erie request includes renewal of the current 0.25 mills and an increase of 0.10 mills for a total of 0.35 mills. It would cost a homeowner of a $100,000 home $35 per year for five years. The levy, if approved, would bring in an estimated $350,000 per year. 7. Comments from Board Members. Comments from the public ended at 10:00 p.m. There were no comments from Township Board members as they voted to not to extend the meeting after 10:00 p.m.
Toledo Blade December 3, 2015: Bedford Township seeking 0.35 mills. Would help fund continued operation of Bedford Dial-A-Ride. Of special note is a discussion under “Old Business”-Discussion Regarding the Cable Committee”. The Cable Committee that was in place in 2005 was disbanded by the Bedford Township Board in December of 2005. 1. Final site plan approval for Lascala Professional Center Building Addition and Site Improvements. The property is located at the northeast corner of Lewis Avenue and Smith Roads. 2. Final site plan approval for an addition to Ciolino’s Market located at 6750 Lewis Avenue. 3. Preliminary approval for an amended planned unit development (PUD) for Summerlyn Planned Unit Development located at the northwest corner of Secor and Smith Roads. 3. Begin to look at the special or, as they are tagged “other funds”. Click here to view the most recent Bedford Township financial statements. Video of the budget meeting is listed below. It is broken down into 10 segments of approximately 10 minutes each. Click on the segment that you would like to view. 2. Discussion of Future Funding for the Pavement Asset Management Plan and review of meetings concerning the proposed Special Assessment for Roads: 10:40 minute mark on video. 3. Comments by Board Members concerning a variety of topics: 1 hour 20 minute mark on video. Bedford Now October 9, 2014: Bedford Officials: Roads Still Need To Be Fixed, But How? Monroe News September 12, 2014: Letter To The Editor by Gene Stock: Excess money in Bedford means residents shouldn't have to pay for roads. Bedford Now September 13, 2014: Letter To The Editor by Gene Stock: Homeowners should be allowed to vote on assessment. Click here to watch the 2 videos of the meeting. Part 1 ( 1 hour 37 minutes) Part 2 (1 hour 14 minutes) Please note that the discussion of the proposed special assessment for roads begins on Part 1 at the 1 hour 20 minute mark and continues on to Part 2. Click here to view Redwood Acquisitions' web site. Click here to view a larger copy of the map of the approximate boundary on the Whitman property which Redwood Acquisitions will build units. Click here to watch the video of the June 25,2014 Bedford Township Planning Commission meeting (40 minutes) concerning the re-zoning request. It was approved by a 6-0 vote. Several residents who live behind the property spoke in favor of the re-zoning. Click here to view the most up-to-date information concerning the Whitman property located at the corner of Lewis Avenue and Sterns Road. Click here to view the web site for Redwood Acquisitions LLC. This is the company that would like to purchase and develop the 17 acres that is the subject of the re-zoning on the Whitman property. The re-zoning request was approved by a 6-0 vote and the re-zoning request will now move on to the Monroe County Planning Commission for consideration. Toledo Blade June 30, 2014: Bedford Twp. panel OKs unit rezoning 17-acre parcel near Sterns Rd Lewis Ave.
Toledo Blade June 9, 2014: Bedford Slates $1M for street plan, work;Board hires engineer for paving projection. Click here to watch Video #2 of 2 videos of the meeting (50 minutes) There was an eye-opening discussion at this meeting concerning the Bedford Township roads and the Monroe County Road Commission. Every Bedford resident should watch the video to hear what was discussed concerning the challenges that Bedford Township faces regarding getting our roads repaired and maintained. To view the discussion, go to video #2: Michigan State Representative Dale Zorn spoke twice, once starting at the 7 minute mark and again at the 20 minute mark. The vice-president of the MCRC workers union spoke starting at the 33 minute mark. Bedford Township residents will be very interested to hear what was discussed by Bedford Township Board members, State Representative Dale Zorn and the vice-president of the union concerning the Monroe County Road Commission funding and plans concerning road projects for this summer in Bedford Township. Bedford library to ask for 0.25% levy in Aug.
Click here to watch video of Bedford Township Board Meeting when the meeting was stopped by the Supervisor and the police were called during public commentary. Toledo Blade April 26, 2014: "Toledo family reunited with dogs held 1 year in Mich. $9,000 paid to owners of pigs killed at barn to settle case." Toledo Blade April 25, 2014: “Dogs accused in death of pigs released to owner” Click here to view additional details concerning the settlement agreement to release the dogs. Toledo Blade March 7, 2014 Owners Plead for 2 dogs that killed pigs According to this newspaper article records in Toledo Municipal Court show that Janni Juhasz has been cited three times for dogs running at large, while Katalin Juhasz has been cited once. See directions listed below on how to search the Toledo Municipal Court Records for citations. Click here to search Toledo Municipal Court Records for citations. Instructions to search records: Type in first and last name for the person you are searching and click on the “search” button and it will bring up past citations. It should bring up all citations for that person. 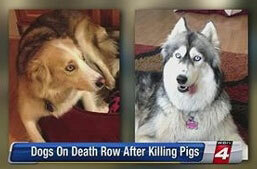 Bedford Now May 8, 2013: Dogs Attack Prize Pigs In Bedford Township. Click here to watch Video #1 of 2 videos of the meeting (first 2 hours and ten minutes of the meeting). Click here to watch Video #2 of 2 videos of the meeting (last 30 minutes of the meeting). Monroe News February 21, 2014: Bedford Township names fire chief. Click here to watch Video #2 of 2 videos of the meeting (last 27 minutes of the meeting). 1. Variance request concerning property located at 8801 Douglas Road, Temperance, Michigan. 2. Request by The Francis Family YMCA for a special use permit to allow a "Farmer's Market" to be held on their property. 1. Several residents spoke during public commentary time including new allegations concerning the fire department issues. 2. The board voted to reimburse residents for over-charging them on the past street light assessments. 3. The board voted not to join SEMCOG &TMACOG (a savings of over $9,000). 4. Presentation concerning the audit of Bedford Township finances. Several questions brought up by trustees. 5. The board approved a BZA fee waiver for the Farmers Market to be held at the Francis Family YMCA. 6. During board comment time Supervisor Stewart answered questions from the public that he received concerning the snow storm and questions that were brought up during public commentary concerning the Bedford Township Fire Department. Click here to watch video of meeting. 1. Several residents spoke during public commentary time concerning the recent Bedford Township Fire Department issues that have been in the news. 2. Presentation by the Bedford Township Park Commission. 3. During board comment time Treasurer Paul Francis responded to the allegations concerning the Bedford Township Fire Department. (See the newspaper article listed below that appeared in the Toledo Blade). 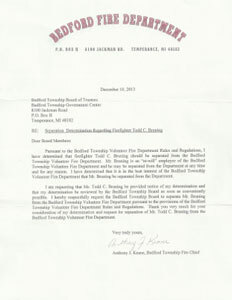 Click here to view a copy of the letter that Todd Bruning received from the Bedford Township Fire Chief on December 10, 2013 concerning his separation from the fire department. WSPD Radio December 23, 2013: Click here to listen to the interview of Todd Bruning by WSPD Radio in Toledo, Ohio on December 23, 2013. Click here to watch Part 1 of 2 videos of the meeting (1 hour 20 minutes) This video is of the public hearing for a cell tower placement in Bedford Township. Click here to watch Part 2 or 2 videos of the meeting (1 hour in length). 1. Presentation by Barry Buschmann,Mannik & Smith Group concerning the Bedford Memorial Gardens Cemetery. 3. Request for Approval of Resolution Exempting Bedford Township Government from requirements of Public Act 152 of 2011 for calendar year 2014. This deals with health insurance for all employees. Click here to watch part 2 or 2 videos of the meeting (48 minutes) From approval of agenda to end of meeting. 1. Public Hearing for Bedford Township Street Lighting Special Assessment Districts 2013. Continuation with Modifications. A number of residents spoke at the hearing during public comment time. 2. Discussion regarding the Master Plan Request for qualifications for Planner. 3. Announcement by Supervisor Greg Stewart concerning resignation by Jim Neorr as acting Bedford Township Fire Chief. Click here to watch the video of the meeting (1 hour 50 minutes) Please note that about 20 minutes of the meeting was not broadcast. Approximately from the 52 minute mark to the 1:11 mark on the video was omitted due to some technical difficulties. 1. Presentation by Tim Lake concerning the Monroe County Business Development Corporation. 2. Recommendation from Fire Commission/Search Committee to advertise for candidates for the Fire Chief position. 4. Several residents spoke during both public commentary times. Town Hall Meeting scheduled for September 26, 2013 starting at 7:00 p.m. at the Bedford Township Hall. Bedford Township Master Plan and the Master Plan Committee. PUBLIC HEARING FOR THE RICKETTS/ADKINS REZONING FROM PBO, PROFESSIONAL AND BUSINESS OFFICE, TO R-2B, SINGLE FAMILY RESIDENTIAL, ON A PORTION OF PARCEL NUMBER 5802-031-005-10, A VACANT PARCEL LOCATED ON STERNS ROAD (near Quail Hallow) Click here for details concerning the property. Bedford Now June 5, 2013: "Bedford Township Approves Budget For 2014"
1. Approved a sign waiver request from H & S Sports Plus at new location the intersection of Secor and Summerfield. 2. Approved rezoning request from Louis Gorr (Louie's Sheet Metal Shop) located at 8493 Secor Road from R-3 (Residential) to C-3 (Commercial). 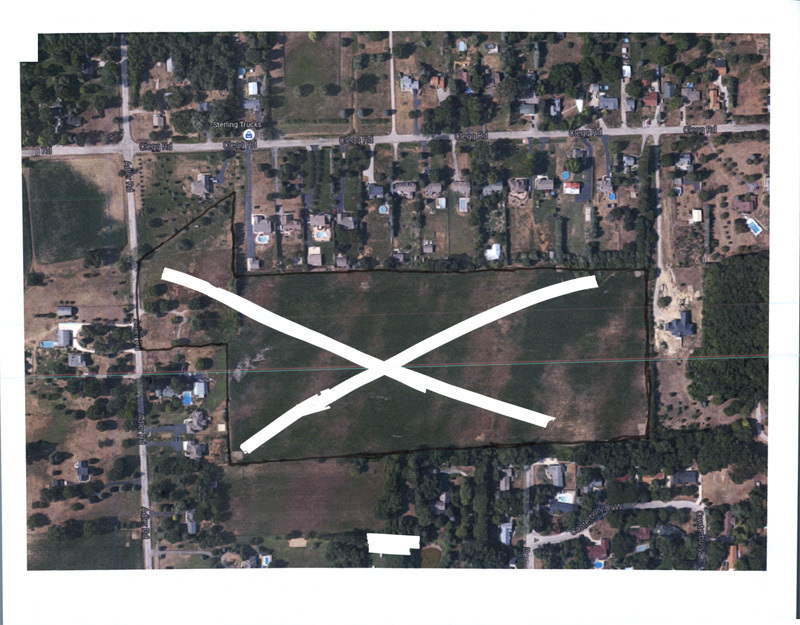 Click here to view the details of the re-zoning request including a property diagram. 3. Approved rezoning request from Jimmy & Alice Askins on property located at the corner of Lewis Avenue & Smith Road from R-3 (Residential) to C-3 (Commercial). Click here to view the details of the re-zoning request including a property diagram. 4. Approved rezoning request from Jimmy & Alice Askins and Ronald & Diane Hubbard on property located at the corner of Lewis Avenue & Smith Road from R-3 (Residential) to C-3 (Commercial). Click here to view the details of the re-zoning request including a property diagram. Several members of the “Bedford Watch” group along with a couple of property owners near the proposed rezoning location spoke in opposition to both of the rezoning requests on the property located at Lewis Avenue and Smith Road (see # 3 & 4 above). Several Bedford Township residents spoke in favor of both of these rezoning requests. 1. There was quite a bit of discussion concerning the Farmer's Market at the meeting. Agenda: (Please note that the agenda includes all supporting documents that are on the agenda.) You will now be able to read all documents that the board members will be discussing at the meeting. Major Items discussed at the meeting: Outsourcing of Payroll, Land Division Request, Hiring supervising ordinance officer, Compensation Committee's recommendations, Holding Farmers Market at the Bedford Township Hall. Click here to watch Part 1 or 2 videos of the meeting. This video is from the beginning of the meeting to the vote concerning the Farmers Market. (2 hours in length). Click here to watch video of the meeting. (2 hours) Several Bedford Township residents spoke during pubic commentary times. See 46 minute mark and 1:21 mark on the video to view public comments. Bedford Now March 20, 2013: "Appointment Of Interim Fire Chief Delayed"
Click here to watch video of the meeting. Bedford Now February 20, 2013 "Township Aims To Eliminate Cemetery Debt"
Toledo Blade January 28, 2013: "Bedford Township Trustees green-light parcel split; 3 houses planned for Dean Road site"
Toledo Blade December 24, 2012: "Church to locate in Bedford Twp. residential area"
Agenda: (Please note that the agenda includes 26 pages.) You will now be able to read all documents that the board members will be discussing at the meeting. Bedford Now December 5, 2012: "Bedford Board Shares Camaraderie"
Toledo Blade December 10, 2012: "Bedford Twp. board rejects end to retirement benefit; Trustees balk at timing, last-second addition"
Please Note: A meeting has been scheduled for Wednesday December 12, 2012 at the Bedford Township Hall at 6:30 p.m. for those residents who are interested in discussing the Farmers Market. Bedford Township Board Meeting: November 20, 2012 (First meeting for newly elected board members). 4. 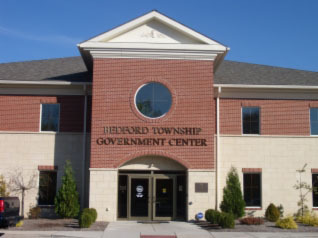 Township board members made several suggestions for improving Bedford Township Government which will be addressed at future board meetings. 5.The following residents spoke during public commentary: Jason Shepard and Mark Ellsworth. Toledo Blade November 26, 2012: "Bedford board hires aide to township supervisor"
1. Recommended to deny request for a rezoning from RT, 2 Family Residential to RM-2 Multiple Family Residential on parcel located at 2925 Dean Road. Click here to view more info concerning this property. 2. Recommended to deny request for a rezoning from PBO, Professional Business Office to C-1 Local Business on parcel located at 9030 Secor Road (northeast corner of Secor & Temperance Road). Click here to view more info concerning this property. Please Note: Both of these zoning requests now go on to the Monroe County Planning Commission for their recommendation. The final decision on the re-zoning will be made by the Bedford Township Board Meeting on Tuesday, December 18, 2012. Bedford Township Board Meeting: November 13, 2012 (Last meeting for current board members). 1. Approval of Resolution to Request the DNR to hold a public hearing regarding implementing a firearms resolution in Bedford Township. 6. The following residents spoke turning public commentary: Greg Stewart, Nancy Tienvieri and Gail Keane. 3. The following residents spoke during public commentary: Greg Stewart, Jeff Zink, Nancy Tienvieri, Jason Shepard and John Warns. 2. Approval to Re-Zone a .5 Acre Portion of Property ID No 58-02-025-029-00, NE Corner of Telegraph and Sterns from I-3 (General Industrial) to C-3 (General Commercial). 3. The following residents spoke during public commentary: Greg Stewart, Rick Steiner, Nancy Tienvieri and Denny Steinman. Approval of Application for a Class C Liquor License from Michigan Global Enterprises, at 8505 Secor Road, Lambertville. (southwest corner of Secor & Consear Roads) . Click here to view property information. Click here to read newspaper article in the Bedford Now September 28, 2012 "Former Chaparral To Become New Eatery"
Approval of Industrial Facilities Exemption Certificate for GH Cutter Services, Inc. Click here to view property information . Approval of Letter of Understanding from McGuire & McDole CPA. The following residents spoke during public comment: Greg Stewart, Nancy Tienvieri, Paul Pirrone and Rick Steiner. Click here to read information presented by Rick Steiner who is requesting the installation of a traffic light at the intersection of Lewis Avenue, Hickory Creek Blvd. and Bedford Drive. Approval of Resolution in Support of the Monroe County Community College Whitman Center. Approval of Bid for the Installation of Sidewalks in Samaria. Presentation by Citizens For The Whitman Center. Comments by Greg Stewart during public commentary regarding the rumors concerning that his election to Bedford Township Supervisor was in violation of the “Hatch Act”. Approval of Resolution to Establish the Canterbury Forest Road Special Assessment District Roll. Dennis Steinman spoke during public commentary. He expressed his concern over the poor job of road improvements to Timber Creek Subdivision. Approval of Liquor License Application for Michigan Global Enterprises, LLC, located at the SW corner of Consear and Secor (old Mules Coral). The board established a special assessment district for street improvements in the Enchanted Forest subdivision, but the cost of the work is not yet known. Mark Jagodzinski, general manager of Lake Erie Transit, asked the board to support his agency's 0.25-mill levy renewal that will appear on the township's Aug. 7 ballot. Agenda: Major item: Re-zoning of the Whitman Ford property. The planning commission voted to deny approval to the Bedford Township Board. Agenda: Major Items: Samaria Overlay Ordinance & Site Plan for Kroger expansion. Agenda: Auto Zone re-zoning application. 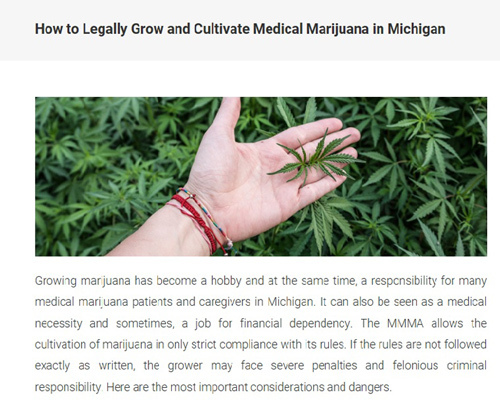 Click here to read related newspaper articles Monroe Evening News Medical Marijuana Ordinance: Click here to read Toledo Blade newspaper article. Agenda: Please note that the meeting will start a 6:00 pm. The board will be going into closed session to discuss the Whitman Lawsuit Judgment to make a decision if they will appeal the decision by Joseph Costello (click here to view a copy of the judge's decision). 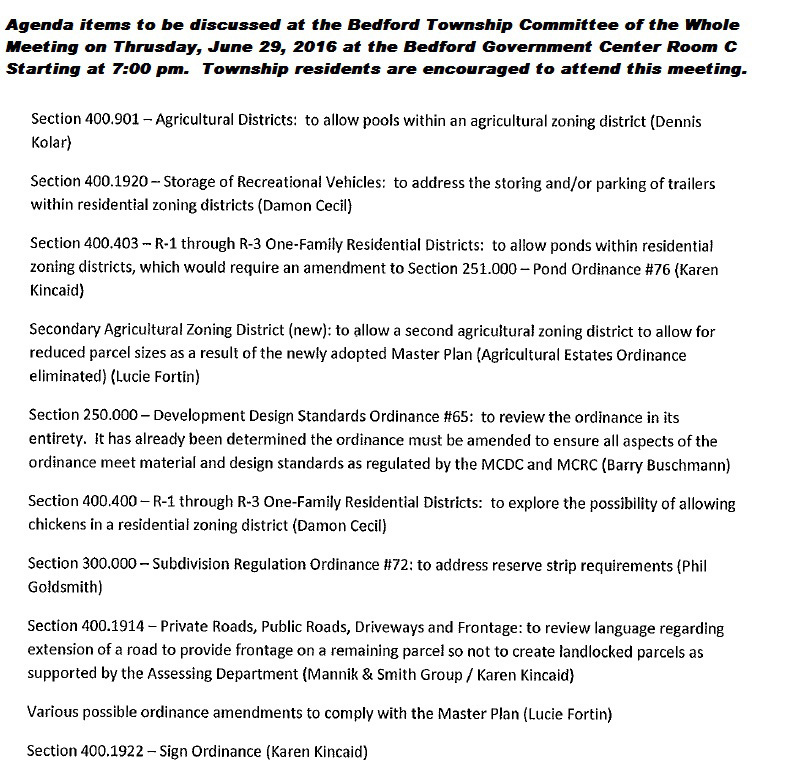 Agenda: (The agenda was not posted on the Bedford Township web site.) Major discussion was concerning change in the ordinance regulating propane filling stations in C-3 zoning. Agenda: Major Topics: Presentation by Bedford Township Downtown Development Authority. 1. Sign waiver for Lambertville Pride. Click here to see sign waiver application. 2. Public hearing for Samaria overlay district ordinance amendment. Click here to read proposed ordinance amendment. Agenda: Major Items: Rezoning request for property at corner of Douglas and Samaria Roads from Agricultural to Light Industrial. 2. During public commentary: (31 minute marker) comments by a resident concerning crime at the Poker Rooms in Bedford Township and how she can help the township to get rid of the rooms. Comments from Township board members concerning poker rooms. Agenda: (The agenda was not posted on the Bedford Township web site.) Request by Fisher Tool and Die. Agenda: (The agenda was not posted on the Bedford Township web site.) There were 3 variance requests at the meeting. Agenda: Major Items: Discussion of amendment to the sign ordinance and wind energy ordinance. 1. 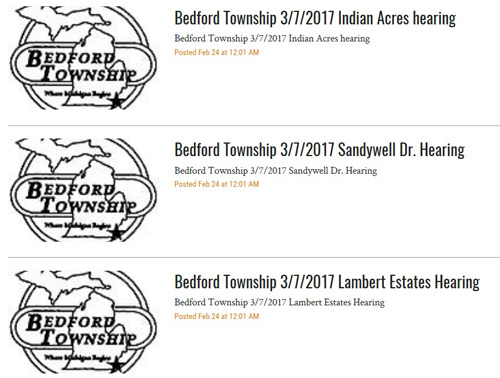 Request for Approval of Amendment to Bedford Township Noise Ordinance. 2. Report by Fire Chief John Bofia. 1. Request for Approval of Bedford Township Burning Regulation Changes – Chief John Bofia. Click here to read Toledo Blade newspaper article. 3. Approval of installation of 2 cell towers (Carr Park & Bedford Industrial Park). Click here to read Bedford Now newspaper article. 1. Two Resolutions to approve Grant Applications for Bedford Township Park Board. 2. Resolution Approving Parks Maintenance & Operations Ballot Proposal. 3. Presentation by Ralph Lange: Bedford Township Roads—At a Crossroads. 4. Presentation during public comment time from Monroe County Commissioner LaMar Frederick concerning budget cuts for Monroe County. Agenda: Major Items: Presentation by Monroe County Sheriffs Department concerning crime in Bedford Township. Agenda: Major Items: Request for Approval of Recovery Zone Funding for Bedford Township Wastewater Treatment Plant Improvements. Amendment to Bedford Township Blight Ordinance. Agenda: Major Items :Presentation by Monroe County Road Commission Director, Howard Penrod. Request for Approval of Recovery Zone Funding for Bedford Township Wastewater Treatment Plant Improvements – presentation by Dan Stefanski, Monroe County Drain Commissioner. Agenda: Major Items: Request from Bedford Watch LLC to amend the zoning ordinance to include size limitations on all Commercial and Office Buildings. Agenda: Major Items: Presentation by State Representative Kathy Angerer. Public commentary by members of Bedford Watch concerning their proposed Bedford Township zoning ordinance changes. This proposal is scheduled to come before the Planning Commission on January 13, 2010. Click here to read proposed changes. Agenda: Major Items: Presentation of Financial report for the Year Ended June 30, 2009. Public commentary concerning Whitman lawsuit and the effect of a big box store coming to Bedford Township. Agenda: Major items: Approved the final site plan for the Family Medical Center on Lewis Avenue. Denied the request for a sign waiver for the Bedford Senior Center on Jackman Road in Samaria. Denied the request for a sign waiver for the Bedford Business Association to re-erect a sign on the corner of Secor and Sterns Road in Lambertville (the sign was taken down during the construction of the new Walgreens Store). Public commentary concerning requested proposal by Bedford Watch to change the ordinance which limits the size of a building that may be constructed on a site in Bedford Township. Agenda: Major Items: Up-date of litigation against Bedford Township (Whitman suit and Bedford Partners suit). Agenda: Major Items: Approval of re-zoning of Family Medical Center. Comments by several residents who have concerns on a variety of topics. Agenda: Major Items: Comments during public commentary by a Bedford Watch member concerning the Whitman lawsuit. Comments by Nancy Tienvieri concerning leadership at the Bedford Township level. Agenda: Major Items: Public Commentary concerning the Whitman law suit against Bedford Township and comments encouraging residents to attend board meetings. Major Items: Public Commentary concerning the Whitman law suit against Bedford Township and comments encouraging residents to attend board meetings. Agenda: Major Items: Sign Waiver for Erie West Hospice and Wind Energy Ordinance discussion. 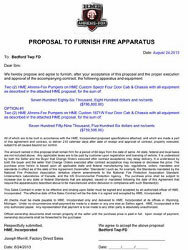 Agenda: Major Items: Comments from Paul Francis concerning Fire Station bids. Comments from Bedford Watch members concerning current Whitman lawsuit. Agenda: Major Items: Presentation by Chris Renius, Township Assessor concerning property assessments in Bedford Township. Comments by a citizen during public commentary concerning roads and other topics. Agenda: Major Items: Awarding of Bids for Bedford Township Fire Dept #3 Building Addition and approval of bid for sidewalks in Lambertville & Temperance. Agenda: Major Items: Bedford Township Board resolution to impose one percent (1%) property tax administrative fee. Agenda: Major Item: Site plan approval for building addition to fire station 56. Agenda: Major Items: Presentation by Consumers Energy concerning tree trimming and removal this summer in Bedford Township.